Come join a diverse group of Security and IT professionals from firms like IBM, Kaufman Rossin and more as they disucss the current and future cybersecurity threats and innovations that are impacting us all across industries. From Identiy and hardware autherisation to cloud computing and deep learning, we’ll be touching on vulnerabilities everyone should be looking out for. 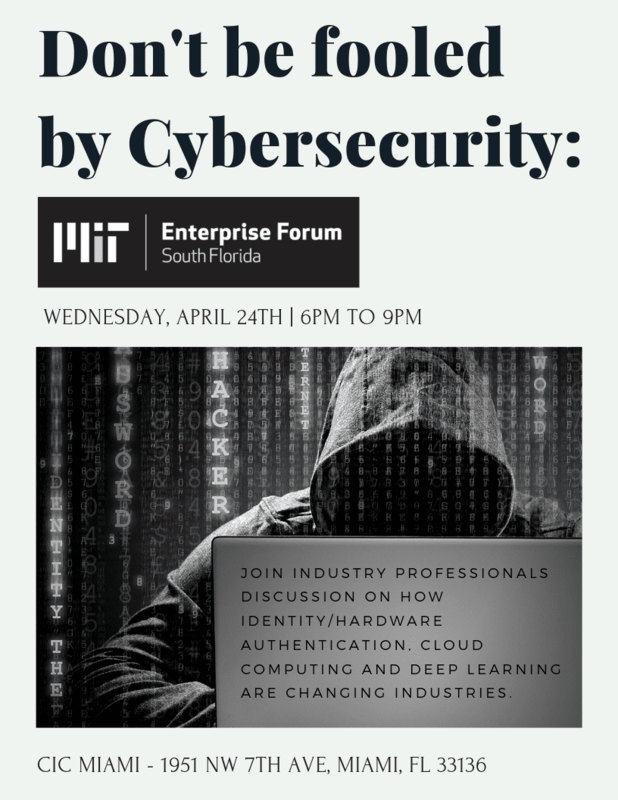 This information and networking event is presented by the MIT Enterprise Forum of South Florida. We stage educational events focused on South Florida technology development across myriad subject areas. 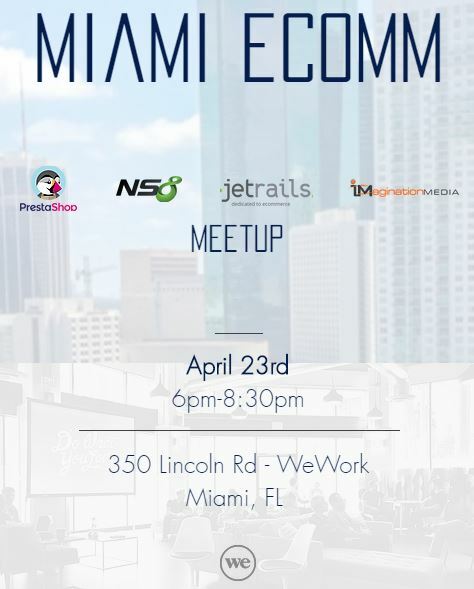 Join an informative interactive experience with fresh ideas, engaging discussion, and diverse professionals April 24th, 2019 at CIC Miami between 6:00 – 9:00 PM. Roberto Valdez specializes in information technology advisory and assurance services, leveraging technology to help businesses mitigate risk, protect their information, and achieve their strategic objectives. He works with clients to identify, manage and combat cybersecurity threats–such as phishing attacks, ransomware and data breaches–while meeting compliance requirements. Rob’s engagements balance business needs with requirements of compliance frameworks such as SOC 1,2,3; HIPAA; SOX; FINRA; and FFIEC. In addition, he spearheads PhishNet by Kaufman Rossin, a security education training and awareness program delivered through simulated phishing attacks. Clients frequently include technology developers, financial services providers, and healthcare organizations. Melinda Tijerino is a data privacy, information security, and compliance specialist that has consulted for organizations across regulatory disciplines and industries, including multi-national fortune 50 organizations, to help assess, build, and strengthen their global privacy and governance programs. In addition to her extensive advisory experience, Melinda is a Certified Information Privacy Professional, a OneTrust Certified Privacy Management Professional, a co-chair for the South Florida chapter of the International Association of Privacy Professionals, and is an advisory committee member for a local South Florida tech and business incubator. An entrepreneurial technical executive with over 25 years experience in building and operating firms in Information Security technology. Currently the Co-founder and CEO of IDMWORKS an Enterprise Security services firm who partnered with Trivest in December 2015. Post partnership, Paul is responsible for the overall corporate P&L, growth, scale and strategy which includes setting up an offshore entity to serve the rapid growth of the business. Today, Paul continues to work with IDMWORKS’ strategic Customers to develop their overall organizational security strategy and relays these strategies to the Board of Directors. Paul serves on various partner advisory boards including: SailPoint, Ping Identity, Micro Focus and others. Paul holds an Honors Bachelor’s degree in Computer Science from the University of Western Ontario and an Executive MBA from Pepperdine University. Travis Ramsey is a Senior Managing Architect for IBM, Travis Ramsey specializes in strategic application and system architecture, design, development and on-going maintenance and support. His team focuses on integrating the Workday platform with many external systems as well as the latest Watson AI technologies IBM has to offer. Targeting Finance, HR and other business operational needs his teams dynamic solutions help drive organizations forward through greater efficiencies fostering stronger employee engagement while always focusing on security and the overall user experience. In today’s ever changing technological landscape over 130+ clients turn to his team daily. This has allowed him to build a deep understanding of true operational needs and how technology can provide great benefit to an organization in more secure way.